The premier platform for tracking, coaching and sharing combat sports activities. A complete community for martial artists, coaches and fans. Take your Combat Sports to the next level with our innovative features for tracking and analyzing all your activities. Every athlete understands the value of tracking training sessions and competitions. 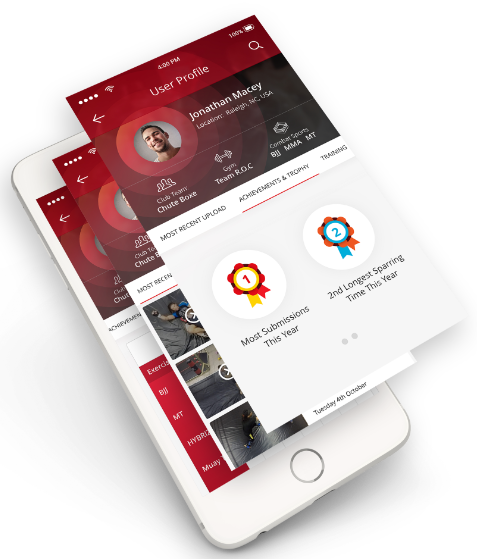 With Combat Academy you can easily track, record, and review your training sessions, competitions, stats, and goals, and use video as a key learning tool. Easily connect with friends, athletes, coaches and fans, to join a community that shares your passion for combat sports. Encourage, advise, and challenge through the platform that is dedicated to providing a community for martial artists. Review, tag, save and share video of techniques and moves. Set goals, and earn badges and achievements for meeting your goals and participating in the community. Build your Combat Readiness Score. See rankings, belts, and championship results for athletes in the community (coming soon). Join real and virtual teams and clubs and participate in team events and completions (coming soon). Dedicated features to ease recording stats and video from your training sessions. Visit our Support Pages for more information or to ask us or the community a question.